If you’ve already decided that your next car will be a Toyota, congratulations, you’ve made a terrific choice. Choosing the right Toyota dealership might be a tougher decision, and also may be a more important task than you think. Although some may view a dealership as merely a store, this interpretation misses a lot of small factors that add up to a big difference. On the front end, a dealership should create a smooth car buying process with salespeople that respect your budget and unique needs. On the back end, they should offer an experienced service department well-equipped to handle your maintenance needs. When looking for a Toyota dealership in Cincinnati, Joseph Toyota offers the perfect combination of sales and service. It’s absolutely not an exaggeration to say that Toyota offers one of the most complete vehicle lineups on the US market. From the diminutive Yaris to the full-size Avalon and the sub-compact C-HR to the world-beating Land Cruiser, there is a Toyota for every lifestyle. Below is a quick overview of some of the most popular models – odds are you’ll be driving one of these 5 vehicles in the near future. 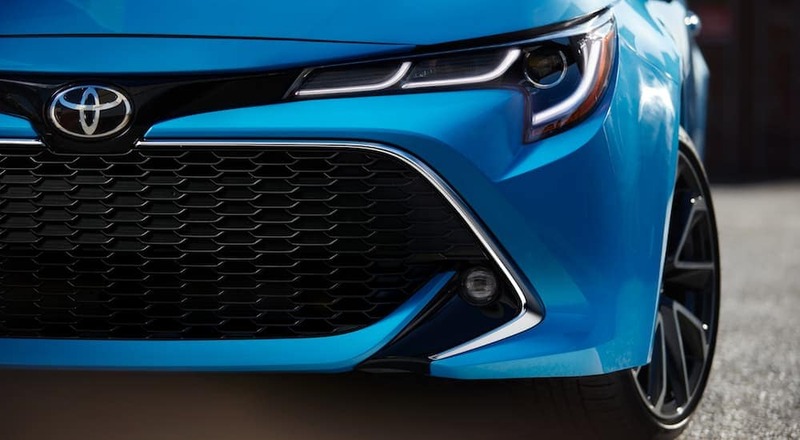 A compact car should be a good combination of style and function; the sporty 2019 Corolla and Corolla Hatchback meet that standard and more. The first thing you’ll likely notice about these twins is their beautiful, modern styling. The sharp front-end and swooped roofline show that this isn’t a boring compact car. The exciting exterior is a preview of the airy cabin that, in the hatchback, can hold over 23 cubic feet of cargo with the 60/40-split second-row seats down. Other interior highlights include standard Apple CarPlay, Toyota’s Entune audio system and a 7- or 8-inch touchscreen. On the road, both Corollas offer 30+ combined miles per gallon, with the hatchback hitting a terrific 38 mpg on the highway. Best of all, both models start at below $20,000. In the compact class, there’s no bang for your buck like the 2019 Corolla. If the Prius hasn’t reached icon status yet, it’s surely close. The 2019 Prius delivers the same function and efficiency in three equally appealing packages. City dwellers will love the appeal of the bite-size Prius c, which offers 48 mpg city/43 mpg highway with the flexibility of a small hatchback. The tradition Prius now offers a whopping 54/50 mpg in the familiar body-style so many Prius users love. Those who like things more electrified should look to the plug-in hybrid Prius Prime, which will achieve north of 125-electric miles per gallon. Inside, the Prius and Prius Prime let an 11.6-inch HD multimedia display do the talking. When paired with Toyota Entune, this smartphone-esque touch screen helps you control music, navigation and everything in-between with a swipe. The Prime takes the tech even farther with Prime apps, including a remote climate app that lets you set the temperature before you get in; there’s no better way to get a hot or freezing cold car back to a comfortable temperature. Simply put, the Prius isn’t going to lose its spot atop the hybrid world anytime soon. The last time Toyota sold less than 300,000 Camrys in a year was 1993. For 25 years, the Camry has absolutely dominated the mid-size sedan category, and with good reason. Known as a warrior that can handle even the longest of commutes, the Camry has solidified Toyota’s reputation as the most reliable manufacturer in the US. After years of dealing with the inaccurate “boring car” tag, the 2017 redesign silenced anyone who doubted the Camry’s style. With an aggressive front end and sleek bodysides, the Camry looks sportier than many high-priced sports sedans. XSE and SE models up the styling even more with a black roof and c-pillars that mimic the lines of catamaran sailboats. Below the sheet metal, the Camry remains all-business. The base 4-cylinder engine offers a commendable 203 horsepower, but those who like a little more speed should opt for the 300 horsepower and 267 lb-ft torque V6. The eco-friendly buyers will enjoy the Camry Hybrid’s 50+ combined miles per gallon. Inside, the Camry remains a comfortable cruiser, tailor-made for the commuter. Optional sumptuous leather and wood trim accents envelope all five passengers while the standard Apple Car Play keeps you connected to the outside world while Toyota Safety Sense suite keeps the ride safe. Like many of its Toyota brethren, the Camry earned a NHTSA five-star rating. With the way things are going, the Camry should remain a class-leader for years to come and easy to find ay any Toyota dealership in Cincinnati. 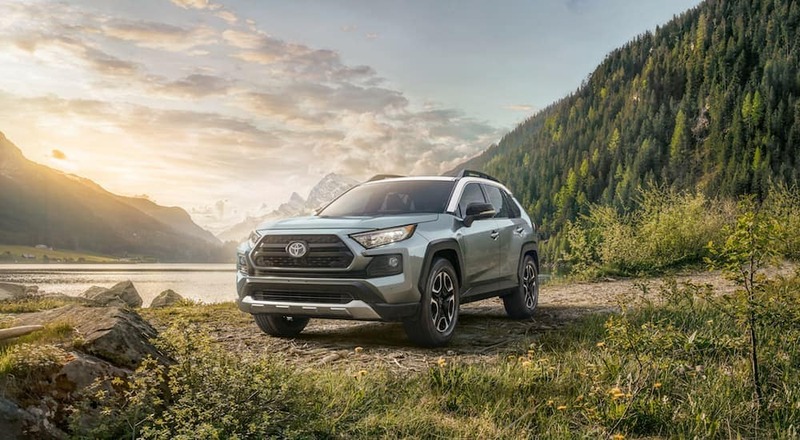 Although the RAV4 has been around for over 20 years, you may not recognize the SUV after its latest redesign. The fifth-generation RAV4 ditched its cute persona for a more mature look. Drivers looking to add a little more personality to their RAV4 can hop on the two-tone trend with a contrasting roof color. Before stepping inside the cabin, it’s best to make a quick detour to see what under the hood. Surprisingly, the available RAV4 hybrid offers the most horsepower and efficiency of any RAV4 model. Hybrid drivers can take advantage of 219 combined horsepower while getting 39 combined miles per gallon. Inside, it’s all technology and comfort with Apple CarPlay integration, wireless smartphone charging, a digital rearview camera, a panoramic glass roof and ventilated/heated front seats and headrests, you may never want to leave. Few SUVs can match the Highlander when it comes to family duty. Available with seating for seven or eight, the three-row Highlander is perfect for the active family. Although it may not look it from the outside, the Highlander can be deceptively quick – available on all non-hybrid models is a punchy 3.5-liter V6 with 295 horsepower. If luxury is the name of the game, look the downright opulent Limited Platinum trim. You’ll be surrounded by leather and woodgrain trim. Screen addicts won’t miss their phone in this vehicle. Get pertinent info from the 4.2-inch display found in the dash, choose the right tunes from the available eight-inch touch screen in the center stack, and keep back-seat occupants entertained with the 9-inch Blu-ray system. In addition to our stock of over 300 new Toyotas, Joseph Toyota also carries over 100 used models from a variety of brands. If you don’t see anything you like in our new inventory, we have multiple pre-owned Toyota that may fit the bill. All used vehicles come with a Carfax report, which is available 24/7 on the vehicle’s online listing. Our service center is open from 7:30 a.m. – 6:30 p.m. on weekdays and has availability on Saturdays as well. Even if you didn’t buy your Toyota from us, we will be happy to have our certified technicians help you with your service needs, from regular maintenance to major repairs. Those looking to stay with their vehicle during service are welcome to use the free WiFi in the lounge or the shuttle services we offer to customers on the move. We believe in servicing the cars we sell and are dedicated to making your entire Toyota experience as pleasant as possible. Joseph Toyota is one of the premier Toyota Dealerships in Cincinnati and the surrounding area. We have an extensive inventory of Toyota vehicles that are ready to be sold. Whether you’re looking for a brand-new 2019 model or a used model, we’ll be able to help you find what you’re looking for quickly. We will be able to help you through every aspect of the process, from finding your perfect vehicle, to securing financing to routine maintenance and service, and everything in between. Our highly-trained and well-respected staff members will be able to assist you and will provide you with exemplary customer service. This is something we pride ourselves on, as we strive to provide excellent customer service to everyone who walks through our doors. If you’re someone who has had a poor car-buying experience, don’t let that sway you from stopping by Joseph Toyota. We will show you the respect that you deserve and provide you with an inventory that will leave you speechless. If you’re ready to commit to the new or used Toyota, or you have questions for the experts, it’s time to stop by our conveniently located dealership. You’ll be glad that you did.